Kempinski Hotel Grand Arena Bansko is the best ski hotel in Bulgaria for the fifth time and Bansko in “The best ski resort of Bulgaria” for the sixth time of the World Ski Awards 2018 . 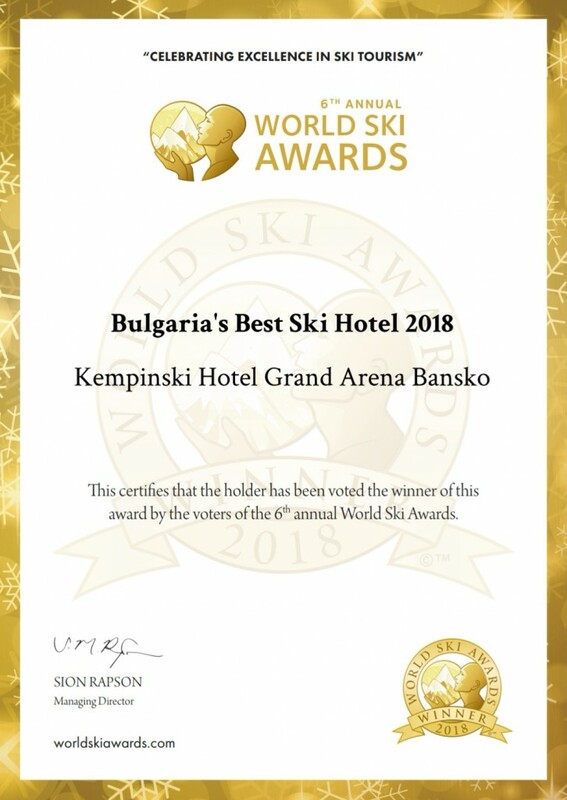 Bansko, November 19, 2018 - Kempinski Hotel Grand Arena Bansko won the prestigious award for ”Best ski hotel of Bulgaria” from the World Ski Awards 2018. 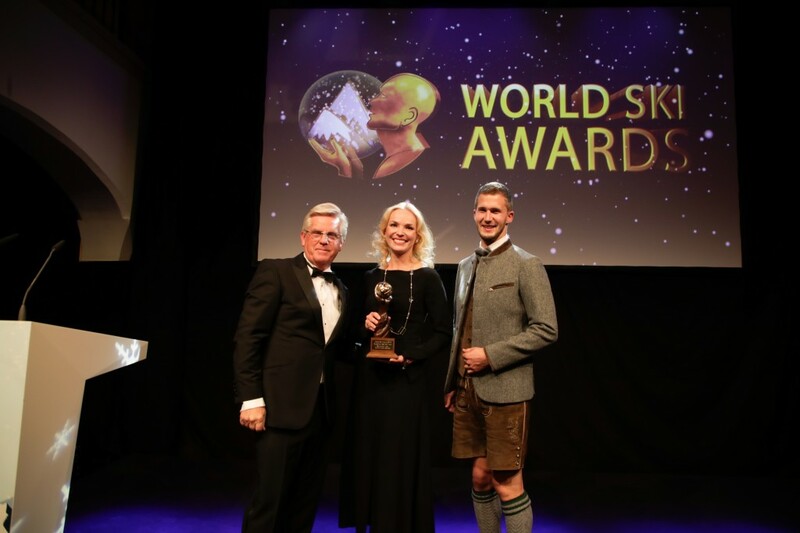 The glamorous award ceremony took place on Saturday, November 17, traditionally at A-Rosa Hotel in the famous Austrian ski resort of Kitzbühel. The long-awaited evening for the international ski industry gathered top managers and market leaders from Europe, Asia, Australia, North and South America. The official reception was part of a three day program of interesting activities. Among the invited guests on the red carpet was the general manager, Ms Natalia Kashishskaya, who had personally accepted the honorary trophy. “It is an honor for me to be part of this magnificent event and to accept the prize for” Bulgaria’s Best Ski Hotel “, commented Miss Kashishskaya. I would like to thank everyone who has voted for us for their recognition and the whole team, of course, for their dedication and excellent results. And this year we are glad that besides the Kempinski Hotel Grand Arena in Bansko winning then so too was again Bansko resort, awarded for the sixth consecutive time for “Best ski resort of Bulgaria”. This year was very successful for Kempinski Hotel Grand Arena Bansko, which just a few days ago was awarded for the third time and for the “Bulgaria’s Best Hotel Spa” from the World Spa Awards. Earlier this year, the hotel also won one of the most rewarding hotel travel awards from the World Travel Awards, Bulgaria’s Leading Hotel. Founded in 2013, the World Ski Awards aim to raise standards in the ski industry by awarding the leading organizations in their field. 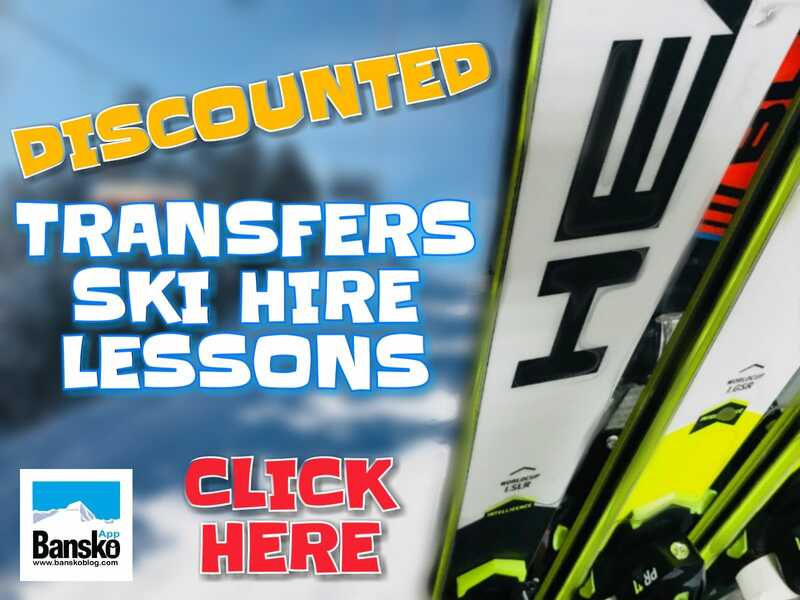 The votes are voted by professionals working in the ski industry – managers, tour operators, tour operators, agents and media, and end-users (skiers) who voted online on the official website of the awards. The World Ski Awards are a subsidiary of the World Travel Awards, which are currently celebrating their 25th anniversary. Established in 1897, Kempinski is the oldest luxury hotel brand in Europe. The rich heritage of good service and incredible hospitality is complemented by the exclusivity and individuality of its hotels. Now Kempinski’s portfolio includes 76 five-star hotels and residences at 34 countries and continues to add new ones to Europe, Africa, Asia and America. Each hotel shows the strength and success of the brand without devalues his inheritance. The portfolio includes historic buildings, lifestyle hotels rewarded with numerous awards, famous resorts and prestigious residences. Every hotel offers quality that guests expect to find, combined with the cultural traditions of the region. Kempinski is one of the founders of Global Hotel Alliance (GHA), the largest alliance of independent hotels in the world. We’re happy with how the Kempinski has kept ahead of the market. The new Spa, improved service and a new menu make up for a terrific experience. Contact (or Gabriella at banskoblog dot com) for our offer to stay at the Kempinski. Prices that our too good to allow us to print here. 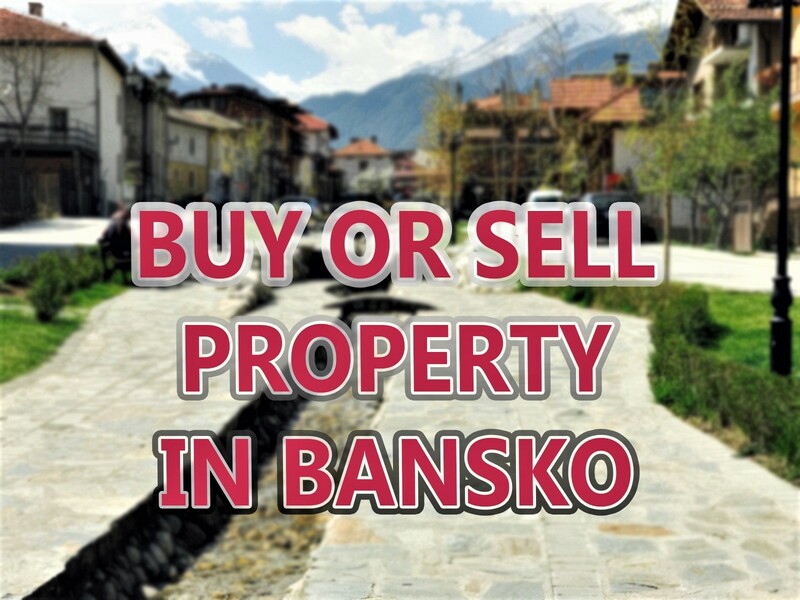 Book a table in one of the great restaurants there, Sushi & Teppanyaki, Come Prima, Lobby Bar in the Bansko Blog App. There’s even afternoon tea coming soon. 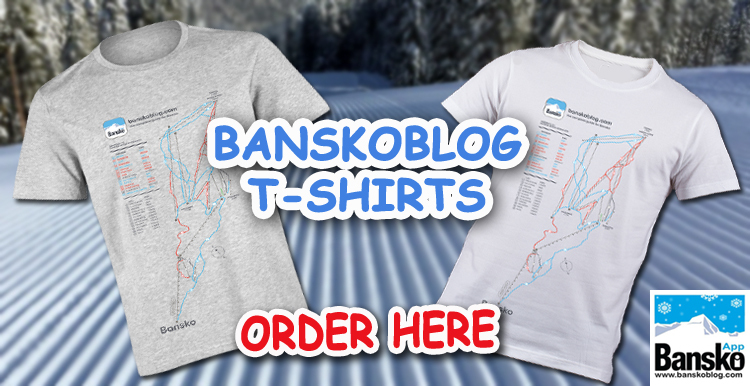 Subscribe for your Discount Code.